There are many different versions of Android used on mobile devices. This article will present a generic set of instructions for Android-based devices. It should be used as a guide while using your Android device. Screenshots, as well as instructions, will vary depending on device make and model. While we try to include all possible options that a user may encounter, a user may see something different than what is shown in this article. For any issues that may arise while using this article, please contact the Help Desk for further assistance. 1. 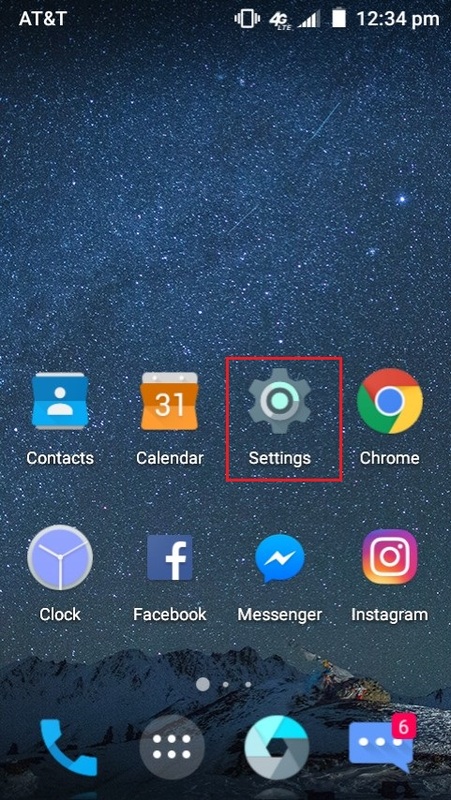 Open Settings and tap Wi-Fi. 2. Under Wi-Fi networks you will see a list of available networks. 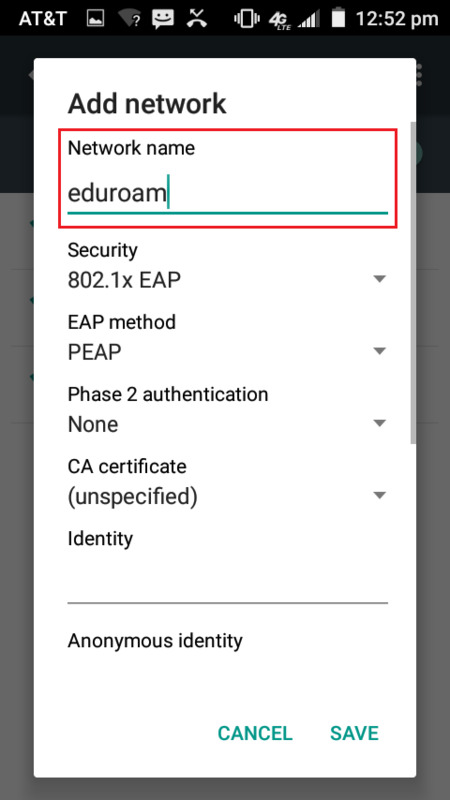 Tap eduroam, if it is listed. 3. 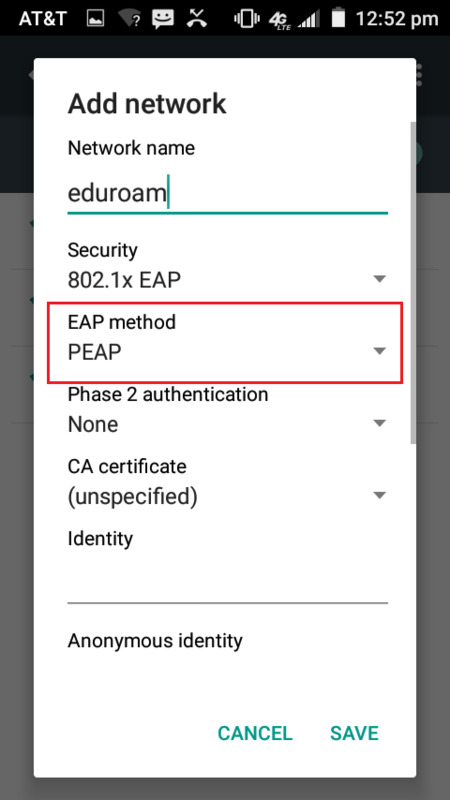 In the dropdown menu of EAP Method, select PEAP. 4. 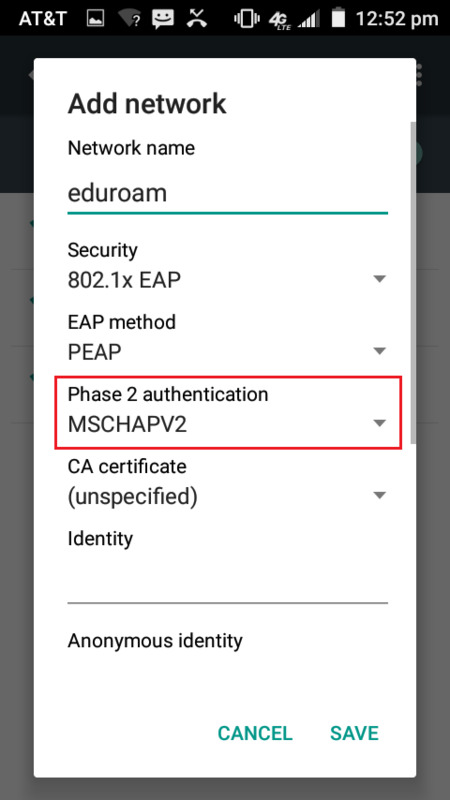 In the dropdown menu of Phase 2 authentication, select MSCHAPV2. NOTE: If your phone asks for the domain, enter lsu.edu. 5. 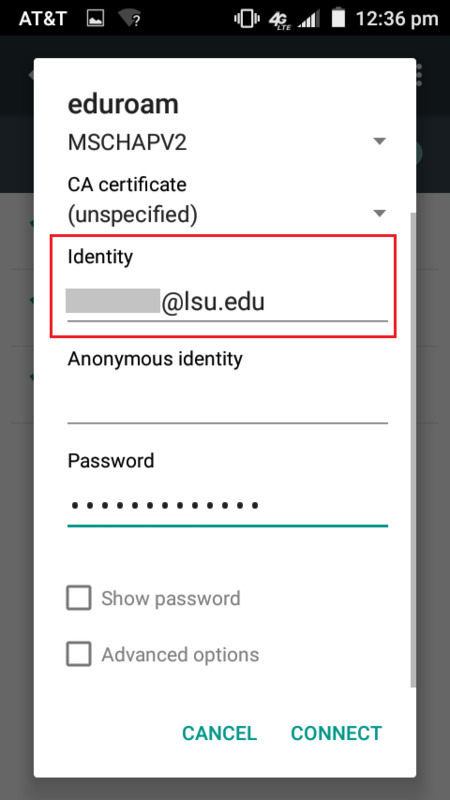 Most users will set CA certificate to N/A, (unspecified), or left blank. However, if you are still having issues after completing all steps below, you may also try selecting "Use system certificates" or other varying potential options (dependent on Android version). NOTE: Enter your PAWS credentials in the form [PAWS ID]@lsu.edu. If you do not do this, you WILL receive an error message. 7. Skip the Anonymous identity field. 8. In the password field enter your PAWS password. 9. Tap Connect at the bottom right of the window. 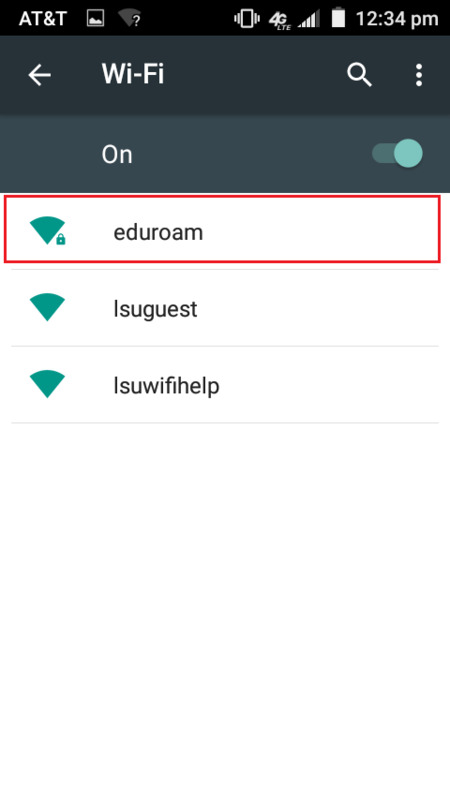 Please note, you should only follow this procedure if your device does not connect to eduroam using the method in previous method. 1. From the Home screen, open Settings and tap Wi-Fi. 2. 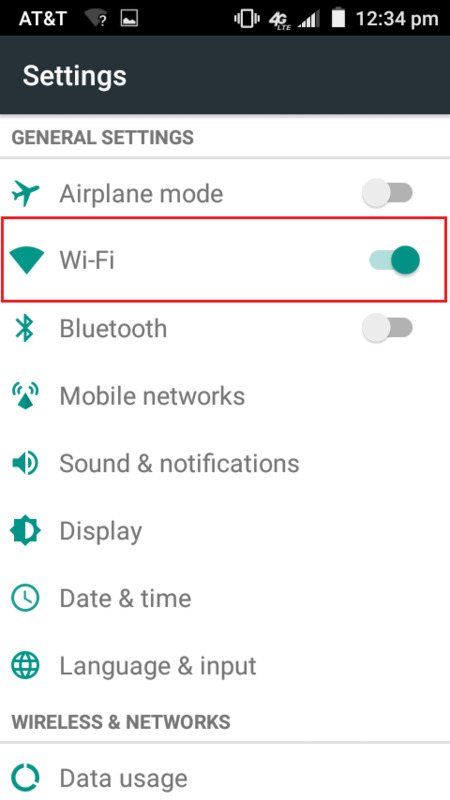 Scroll to the bottom (or tap the ellipses menu icon) and tap Add Wi-Fi Network. 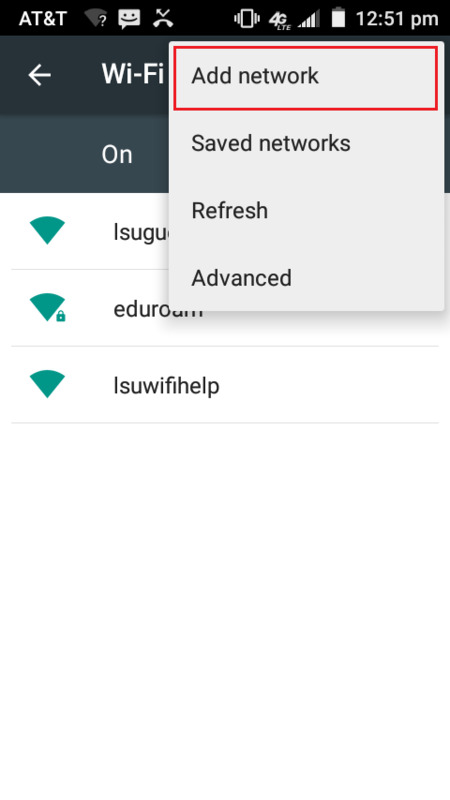 For Network SSID, enter eduroam. For Security, tap 802.1x EAP. For EAP Method, tap PEAP. 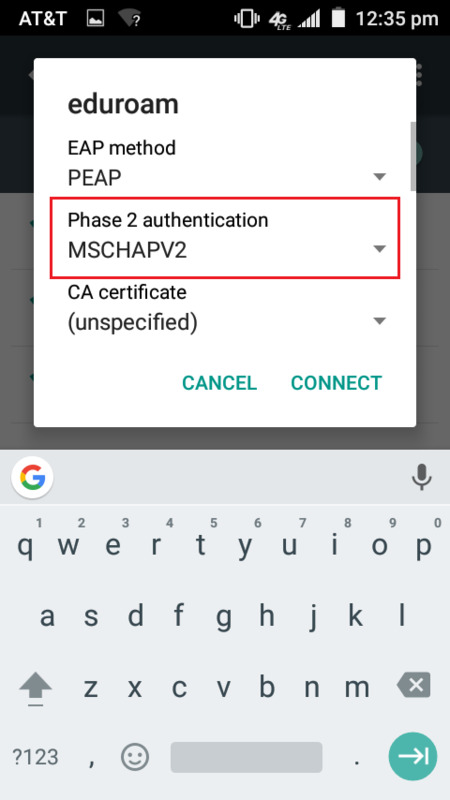 For Phase 2 authentication, tap MSCHAPV2. Leave CA certificate and Client certificate Blank or (Not Specified). On some phones, you MUST select (Not Specified). Leave the Anonymous Identity field Blank. In the Wireless password field, enter your PAWS password. 3. Tap Save and you will connect. The account settings, including Username and Password, are now saved. Wireless will connect automatically when eduroam is in range. If you still cannot connect your device using either method above, it is possible the security certificate needs to be downloaded to the phone. Follow the procedure below, and if you still cannot connect please contact the Service Desk for assistance. Their contact information is available at the following link -- LSU ITS Service Desk. 1. Download the root_ca.cer certificate and open it. Note: If you are viewing this on a computer, please browse to this article on your phone and download it there. 2. Create a Password if prompted. Input a Password that you will remember. Re-enter the Password again to confirm the password. 3. 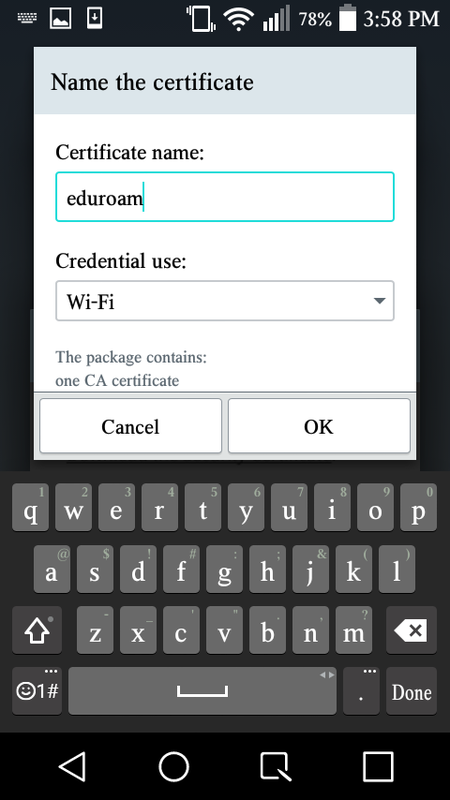 Name the Security Certificate eduroam, then select Wi-Fi from the certificate type dropdown menu. When done, tap OK at the bottom left corner of the window.